A brilliant novel from the bestselling author ofHigh Fidelity, About a Boy, andA Long Way Down. Set in 1960's London, Funny Girlis a livelyaccount ofthe adventures of the intrepid young Sophie Straw as she navigates her transformation fromprovincial ingenue to television starlet amid a constellation of delightful characters. Insightful andhumorous, Nick Hornby's latest does what he does best: endears us to a cast of characters who are funny if flawed, and forces us to examine ourselves in the process. 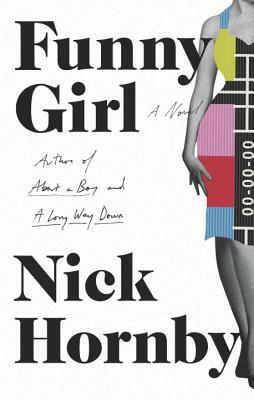 Nick Hornby is the author of seven internationally bestselling novels (Funny Girl, High Fidelity, About a Boy, How to be Good, A Long Way Down, SlamandJuliet, Naked)and severalworks of non-fictionincludingFever Pitch, SongbookandTen Years In The Tub. He has written screenplay adaptions of Lynn Barber s An Education, nominated for an Academy Award, Cheryl Strayed'sWildand Colm Toibin s Brooklyn. He lives in London."